Sometimes, screaming for ice cream won't help. DC goes Q-Fig! With a heart as cold as ice, the hungry Mr. Freeze stands 5-inches tall and has yet to remove the dessert barrier provided by cold immortality. The Batman Mr. 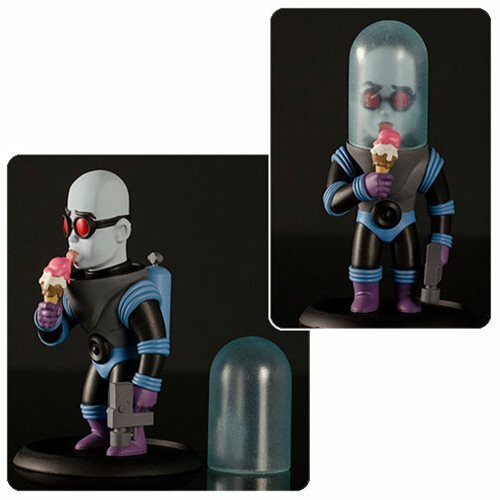 Freeze DC Comics Q-Fig PVC Figure also has a removable helmet. Ages 13 and up.